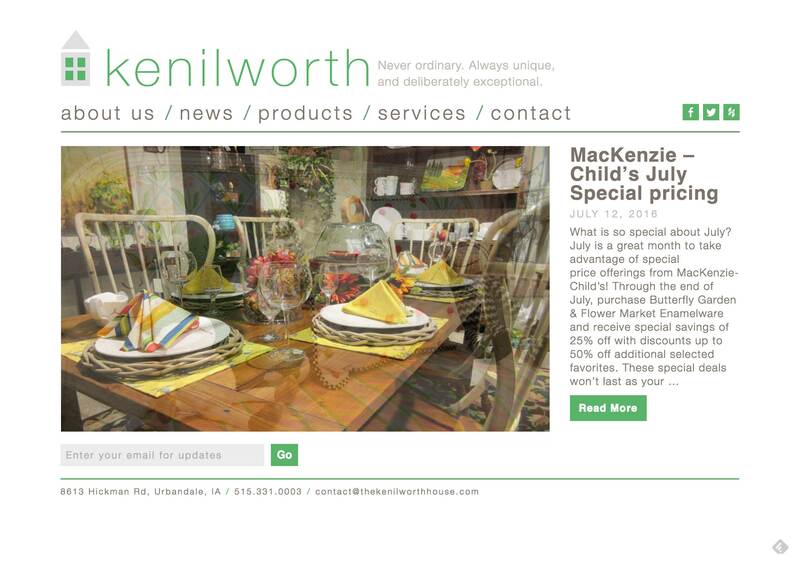 Kenilworth is an upscale furniture store that needed a site that would allow them to easily show off their products, keep their customers up to date with the latest deals, and be SEO-ready to climb higher in the Google search rankings. I dramatically revised the previous site (which I’d created many years prior) and brought it up to modern standards. I then trained the staff so that they would be able to maintain their site completely independently.